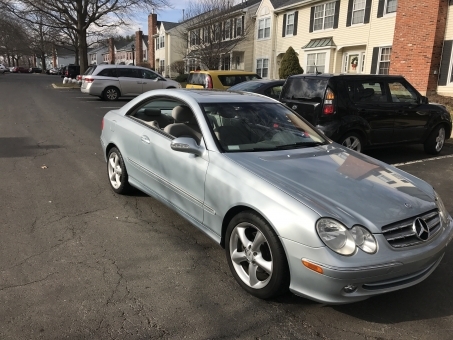 This is a real nice 2005 mercedes benz clk 320 that runs and drive good as it should. power windows pl,ps,sunroof cd player, low miles nice shine to the paint no rust no dents just a real nice car. Enjoy the benefits of our online public auction with Autos For Sale. We know how important a car purchase is for every customer and we want to deliver a smooth and clear service to everyone. You don't have to worry that buying cars online or selling a car at an online auction might have some bad consequences, or get complicated. We don't cause problems, we solve them, which means it's time to forget about boring car dealerships visits. Of course you need to know about our advantages, and first of all everything happens on line, in a virtual world you can visit by only clicking on our autosforsale link. Secondly, you pay no fee for registration, and putting your pre owned vehicles on our auction pa is also with no costs. And last, but not least, your automobiles will get the chance to be reached by thousands of online cars for sale buyers. Take advantage from all the opportunities we are offering, compare cars and make a good auto buying decision, with our support and help in each step. Autos For Sale is your new pre owned car alternative. We offer an ample inventory of quality import and domestic high-line cheap cars for sale. Our online car trader is proud of its prominent selection of used cars at the most affordable prices possible. Your auto buying experience becomes interesting, fun and memorable, in the right place with a wide range of best used cars to buy.